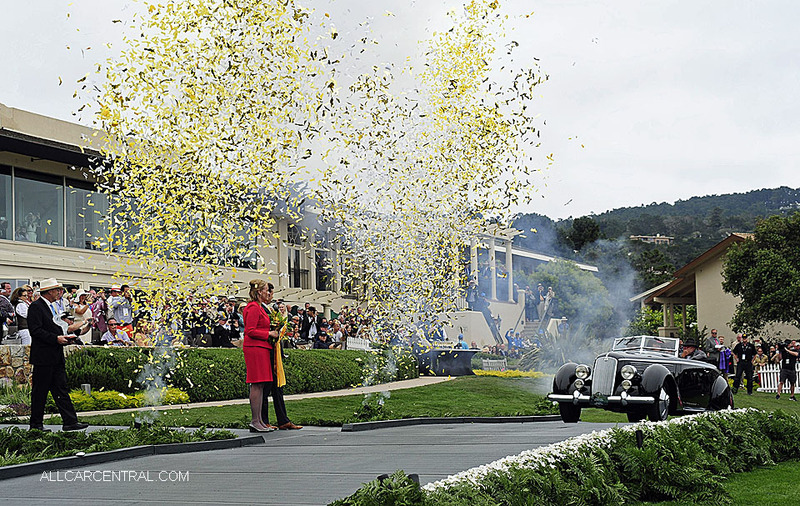 Pebble Beach Concours d'Elegance, 2016 Photos and Stories. 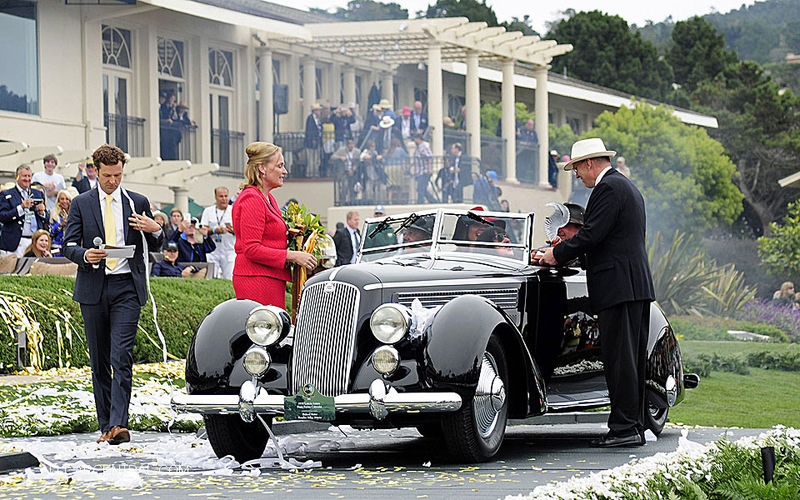 When the award was announced, it took Mattei a moment to grasp the accomplishment: "I was just happy to be an entrant at Pebble Beach—and now to get an award, and not just one, but three!" 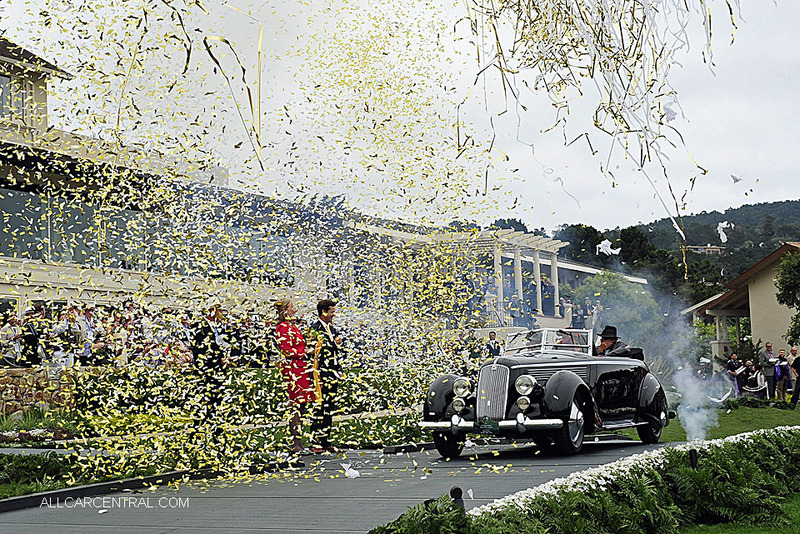 His Lancia won its class before competing for Best of Show, and it was also named the Gwenn Graham Most Elegant Convertible. The cabriolet was once owned by guitarist Eric Clapton, who declared it to be "the most fun I’ve had off stage and out of bed." Pininfarina later purchased the car for its collection and it remained there for decades. 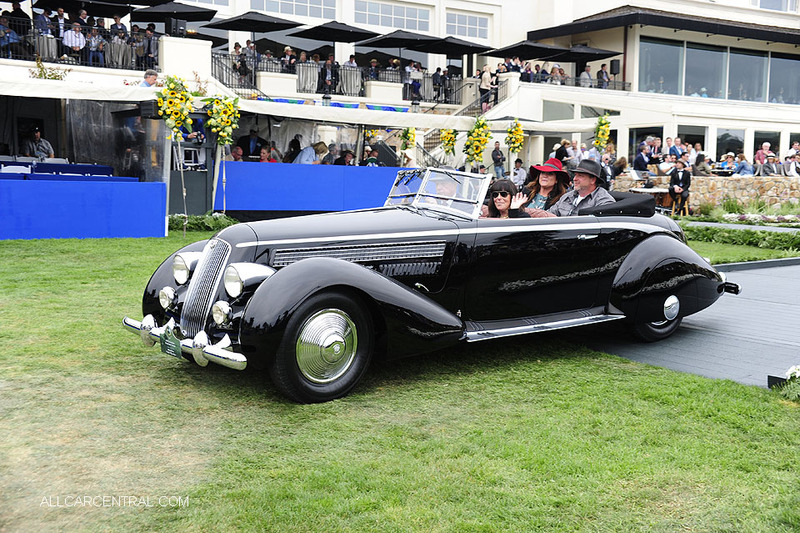 "This Lancia is a true combination of speed and style," said Concours Chairman Sandra Button. "Pinin Farina took a fantastic car and added many spectacular attributes, including a power top, curved side glass windows and the unusual basket-woven trim. 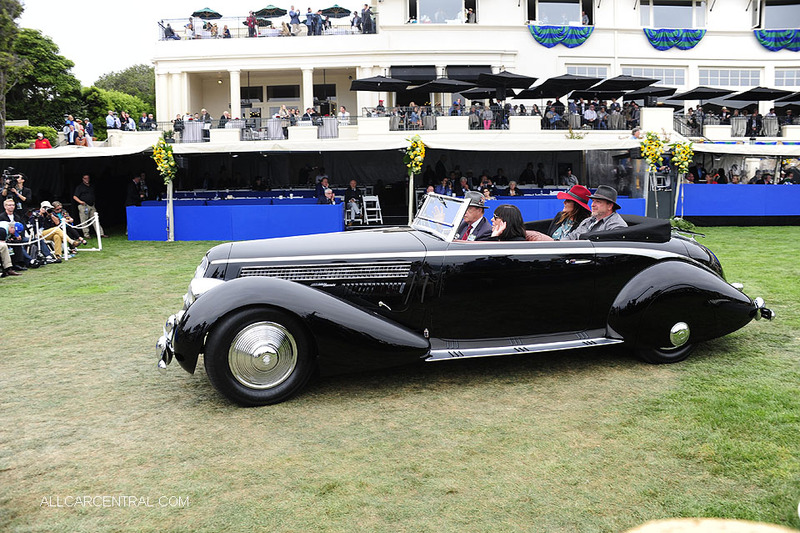 This car is sport and luxury embodied." 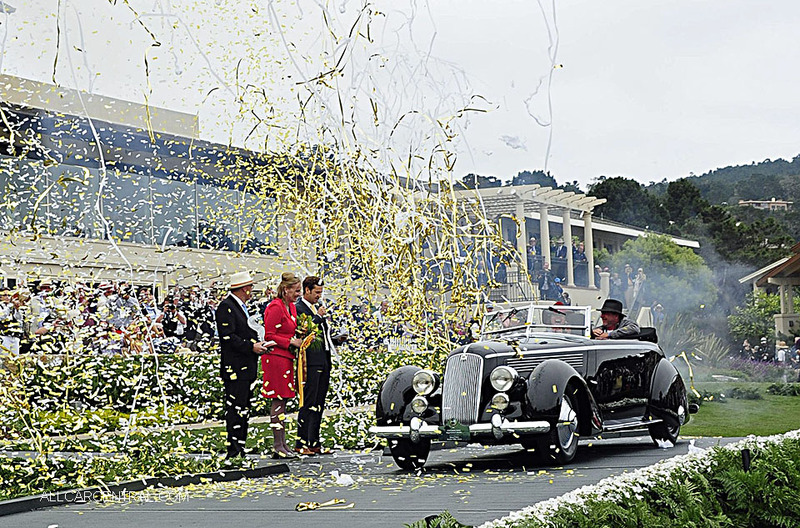 Source: Pebble Beach Concours media release.